From the local houses, cemeteries to towns in Arizona, there are legends and folklore to be told. 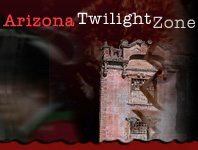 Take part in an Arizona ghost tour and learn about the history and mysteries that lie beneath certain grounds. While you're at it, maybe you'll even get to see a ghost or two of your own.